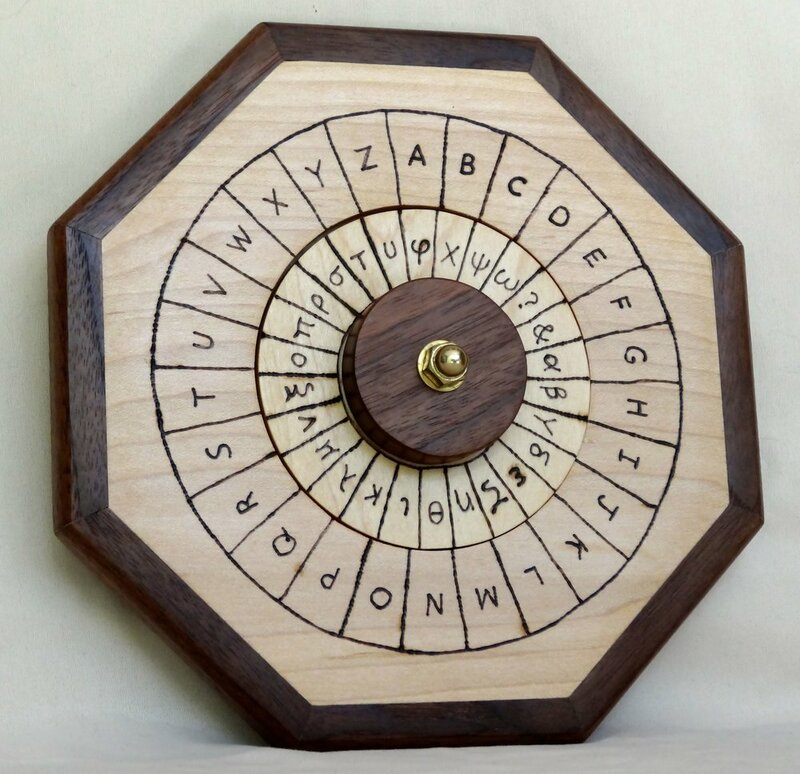 These cipher wheels are my take on a classic cipher wheel which was used during the civil war and dates as far back as Julius Caesar and the Roman Empire. 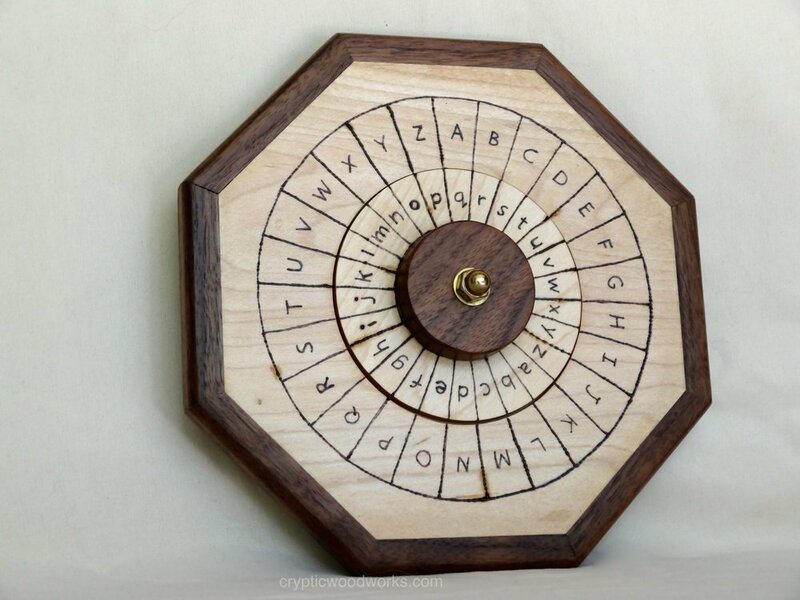 Cipher wheels were used to encrypt and decrypt messages. They are based on the alphabetic shift principal in which one letter stands for another letter. 3 of the common types of shift ciphers are possible with these: simple shift, index shift and a keyword cipher. While the simple shift is very easy to crack, the index and especially the keyword are much harder to beat. I became interested in these when I started researching secret codes to use on some of my other items. Once you start learning, it's hard to stop. 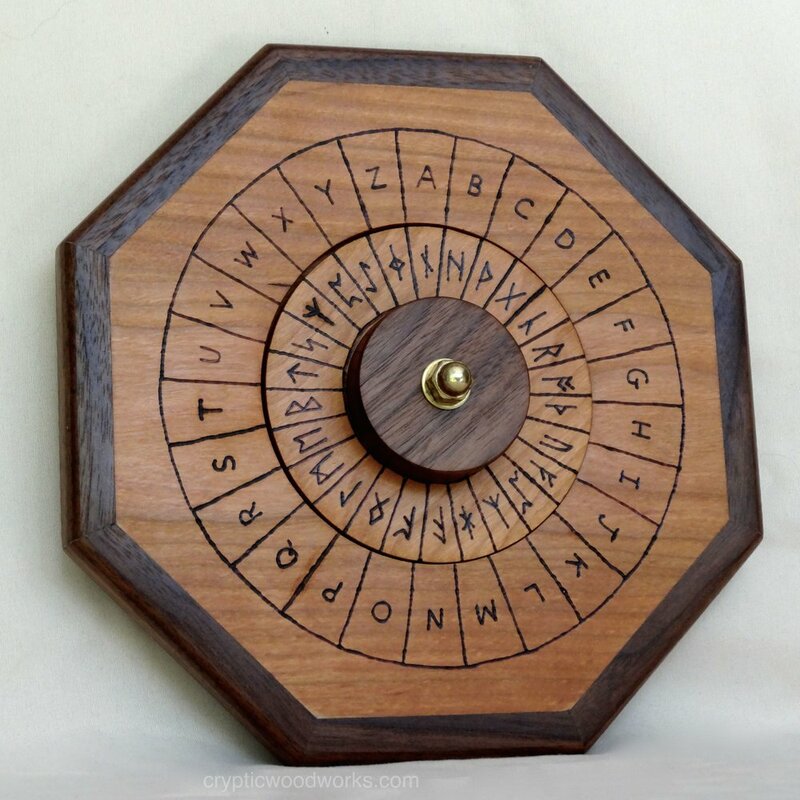 A few internet searches later and I was discovering the different types of ciphers, the history and more. For information on how to create the several types of ciphers, I have several videos on my YouTube Channel. These were made in a variety of styles. Each featured English as the plain text language on the outer ring, but could have English, Greek, or Runes as the cipher text on the inner ring. Versions were made in both maple and cherry. All featured a walnut edging. Only a few were made of each. They have the Cryptic Woodworks logo but were not numbered. There are 8" across and 3/4" thick. All are made of solid wood.